Sheriff's deputies tracked down and arrested two of three home invasion burglary suspects in Millbrae late Wednesday night, according to the San Mateo County Sheriff's Office. Sheriff's officials said the robbery occurred in the area of Arroyo Seco and Vista Grande about 1:30 p.m., and two suspects fled on foot while another tried to flee in a vehicle and rammed two patrol cars. 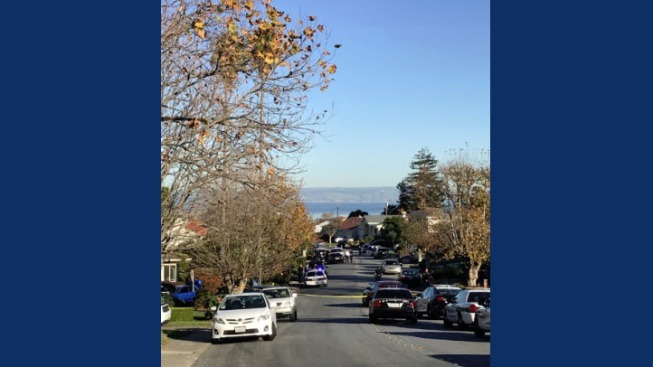 Deputies set up a perimeter with assitance from the San Bruno and Burlingame police departments and found two of the suspects, sheriff's officials said. No weapons were found, and no injuries were reported. The suspects, not yet identified, were booked into county jail and are facing felony charges, sheriff's officials said. The investigation is ongoing, and one suspect remains at large, sheriff's officials said. Anyone with information about the incident is asked to contact sheriff's Detective Joe Cang at 650-259-2417. Those wishing to leave an anonymous tip can call 800-547-2700.